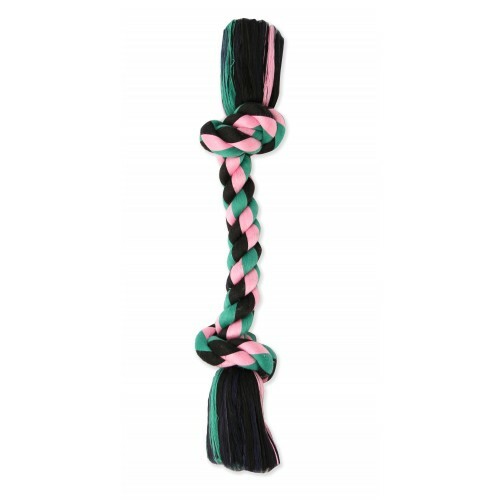 Mammoth® Flossy Chews® rope toys are made from premium materials in fun shapes and colors for dogs of all sizes. Rope fibers floss dogs' teeth as they chew and play. Mini - 6" in length. Small - 9" in length. Large - 14" in length. XLarge - 16" in length.